Sometimes the challenge of making something is just as satisfying as having something beautiful to show for it at the end. That’s how I feel about Swoon Sewing Patterns. 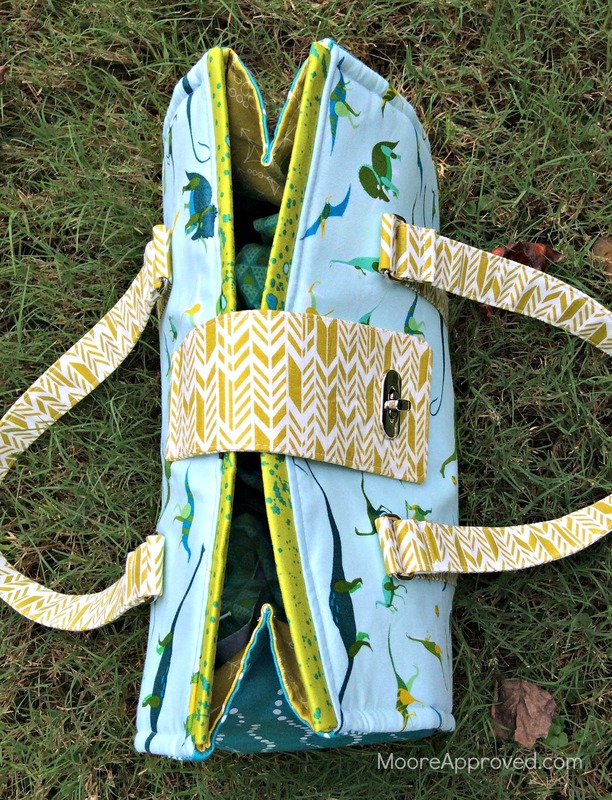 Founder Alicia Miller is a mastermind at designing bags for the sewing obsessed in a way that leaves you wondering how in the world she comes up with her construction methods. 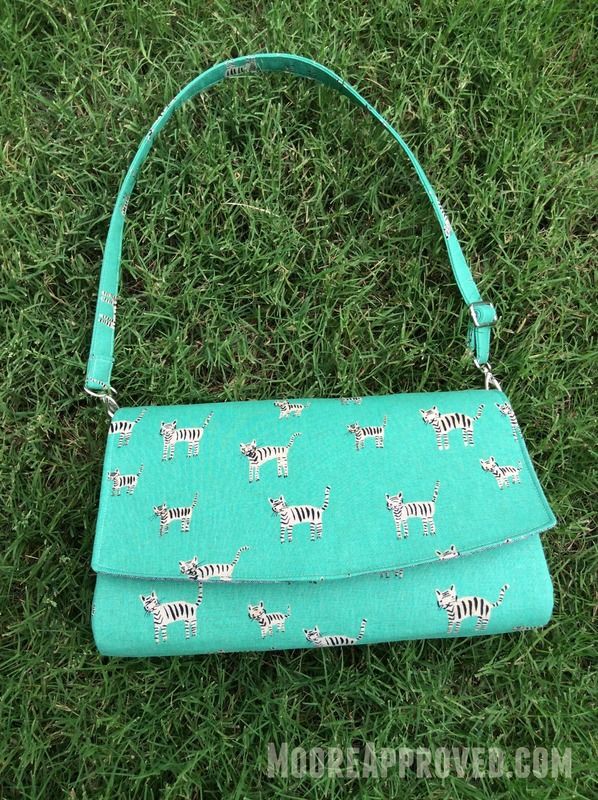 This was the second Swoon pattern I’ve tried, with the first being the Glenda Convertible Clutch. Miller is without question making a name for herself as a pattern designer. Swoon Sewing Patterns has over 34,000 followers on Facebook. Even the closed Swoon Patterns Group on Facebook has close to 13,000 members. From what I’ve noticed on social media, Swoon fans are diehard! And it’s not hard to see why… Swoon patterns are simple, classic, and have more of a professionally made look than some others I’ve tried. Priced at $5.95 for the downloadable PDF or $9.95 for the printed paper pattern, Nora has three different sizes: Small Handbag, Large Handbag, and Traveler. This bag was made in the Large Handbag size featuring Lizzy House Natural History and Alison Glass Sun Print fabrics (both by Andover). The blue and green color palette made the two lines a natural fit together. 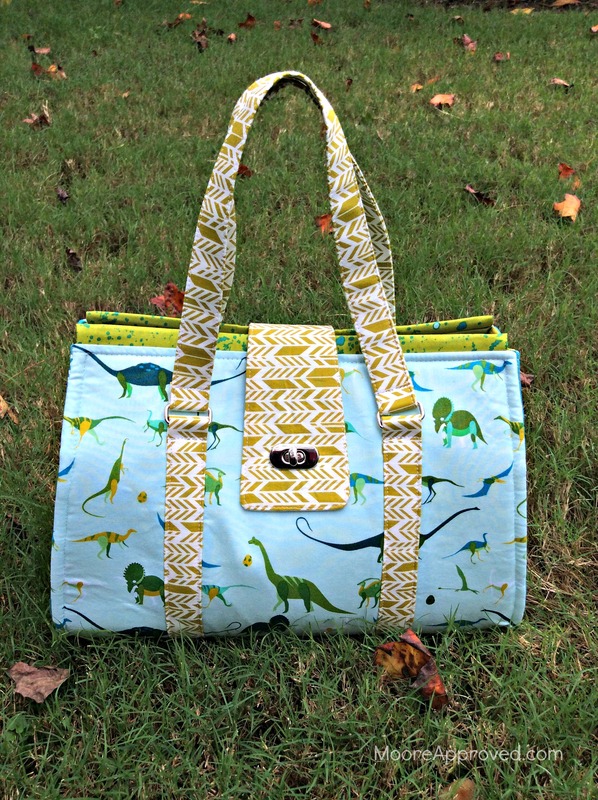 I’ve made about 20 bags and have followed dozens of patterns – both mainstream commercial and indie. Nora is definitely for the advanced bag maker, because it involves several difficult techniques such as top stitching through the equivalent of 10 layers, making a closure tab, and inserting a turn lock. Not going to lie – all of those steps were rather challenging for me. What I especially like about Swoon patterns is that the finished item will still look good, even if you run into some issues along the way. 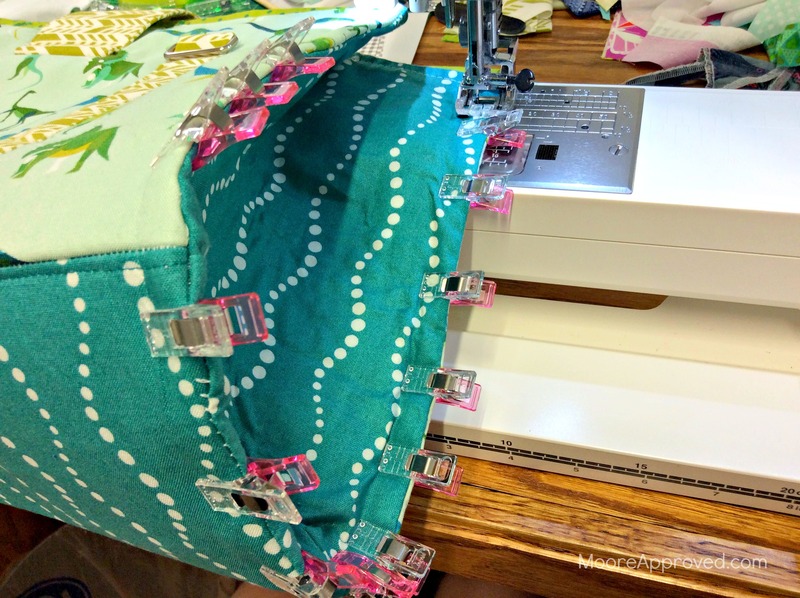 You will use a LOT of fusible interfacing! The materials list includes 3 yards of fusible woven interfacing (like Pellon Shapeflex SF101) and I somehow felt like I used more? I did not have any one-sided fusible stabilizer, so I used an alternative product called Stiffy that is far less expensive than Peltex. To get around the fact that Stiffy is not a fusible product, I glue basted it to the fabric pieces and didn’t have too much trouble with it staying put. For the foam interfacing, I used Pellon Flex-Foam purchased by the bolt from Jo-Ann Fabric. It is frequently on sale for $49.99. Making the closure tab could have gone better for me. The fabric ended up getting quite wrinkled and there was only so much I could do with the iron to fix it. Cutting the hole for the female part of the turn lock also gave me a bit of a headache, because it involves cutting through two layers of fabric, a layer of interfacing, and the heavy stabilizer. The instructions call for you to leave a 6 inch opening along one long edge of a lining side panel to turn the bag later on – trimming the seam allowance to 1/8 inch including the opening. In my opinion, the most challenging step of the bag was top stitching around the side panels – the U-shape. At this point, you’re supposed to tuck the raw edges of that lining opening into the exterior seams so that the top stitching will “catch” the lining and enclose those raw edges. Yeah, that didn’t work out too well. I ended up having to seam rip that section twice and redo it in order to enclose the raw edges in the lining opening. This messed up the way my top stitching looked on the front of the bag. 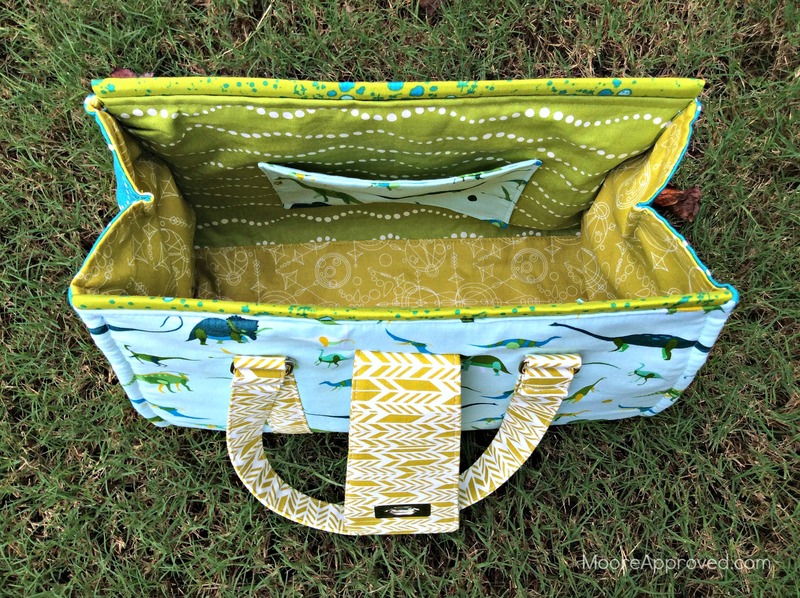 Be sure to top stitch the U-shape with the exterior side panel facing UP and the main (front/back) panels facing DOWN on your sewing machine. Trust me, it will make your life a lot easier! Instead of trimming the seam allowance to 1/8 inch at the raw edges of the lining opening, I’ll leave it to be at least 1/2 inch. After turning the bag, I will fold the raw edges inward and machine stitch the opening closed BEFORE top stitching the U-shaped sides. That way, if I don’t end up catching it while top stitching, there won’t be raw edges exposed inside the bag. Despite those setbacks, my Nora Doctor Bag is still Swoon-worthy. Besides the zippered pocket in the lining, I added a slip pocket on the other side to keep a phone in. For the handles and closure tab, I was able to just use a fat quarter instead of yardage. This is possible because the handles and connectors are separate. 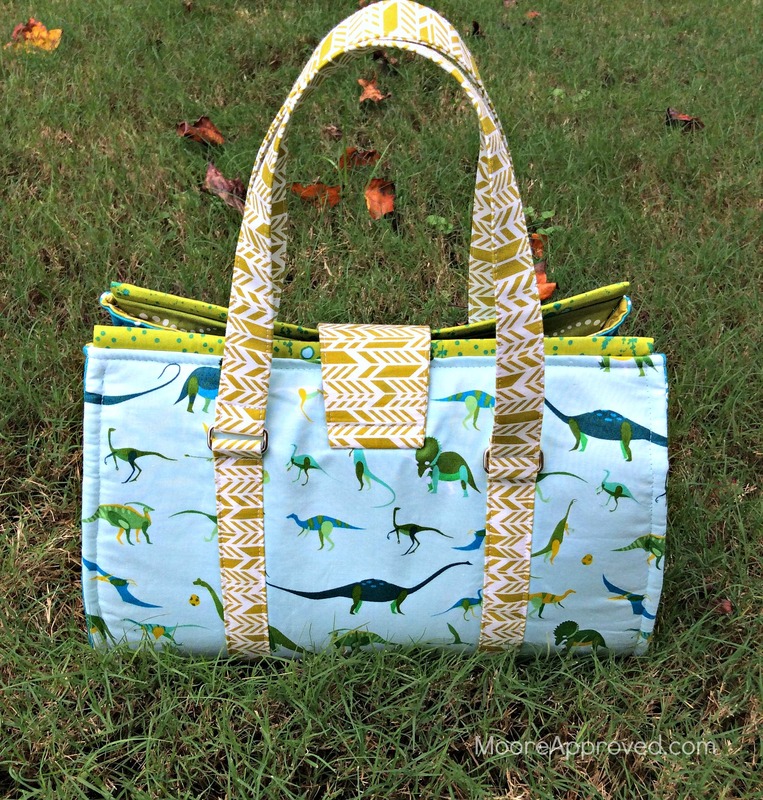 This bag took over 30 hours to cut, fuse, and sew. I would like to think subsequent attempts will be quicker, but I am not the speediest sewer. When I rush, I tend to make mistakes and my stitching is not very neat. Nora is part of Swoon’s Vintage Collection, which is available as a subscription. Between March 2015 and February 2016, the patterns will be released over that time period. After purchasing Nora and Pearl, I broke down and got the subscription because I know I will want at least a couple more of the future designs. 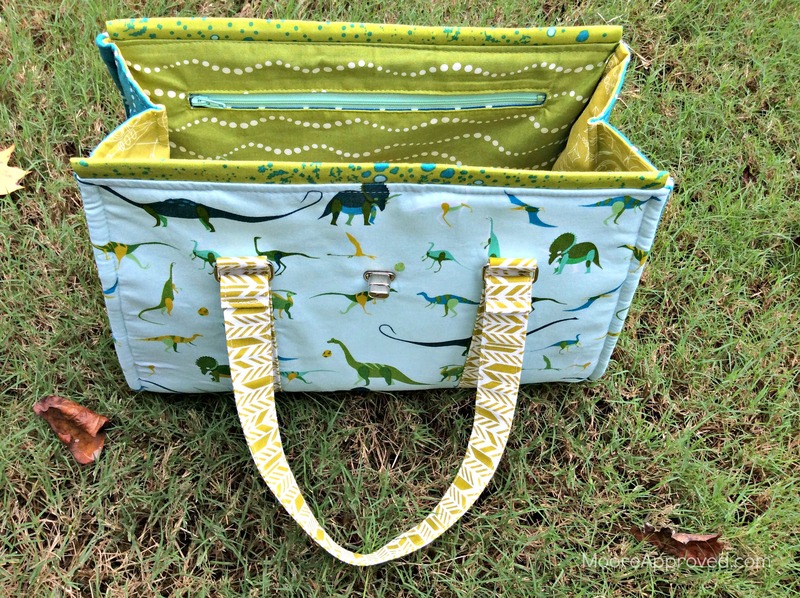 3 Responses to "Making Swoon Sewing Patterns Nora Doctor Bag: Review and Tips"
These are great ideas. I can sew a handbag for yourself in the upcoming winter. Thank you for sharing useful article. I have be wanting to bag this bag for sometime, but I’m scared to death to try! Would you at all be interested in make a Youtube tutorial? Pleeeease!? true masterpiece. very nice product. I like your bag. hope you have a new product and so beautiful anymore.